The vibrating mill GSM is a vibrating mill with exchangeable grinding barrels used to crush brittle and fibrous material down to high degrees of fineness. The size reduction is achieved by impact and friction inside two vibrating grinding barrels which are filled with freely moving grinding balls. 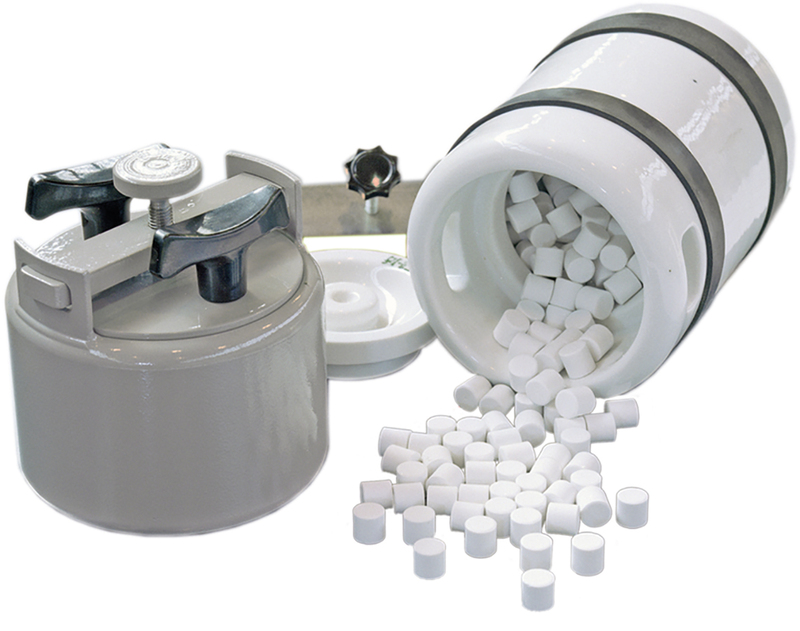 The motion of the grinding balls inside the barrels does also entail an intensive homogenization of the material. The grinding process can be either dry or wet. The size and kind of the grinding balls determines the final particle size. Normally, the grain size of the feed material should be smaller than 2 mm. The final particle size which can be achieved is smaller than 1 µm, depending on the material. As the grinding barrels are exchangeable, their material (steel or ceramics) can be chosen so that contamination by abrasion can mostly be avoided. The exchange of the grinding barrels with help of clamping devices is very user-friendly. 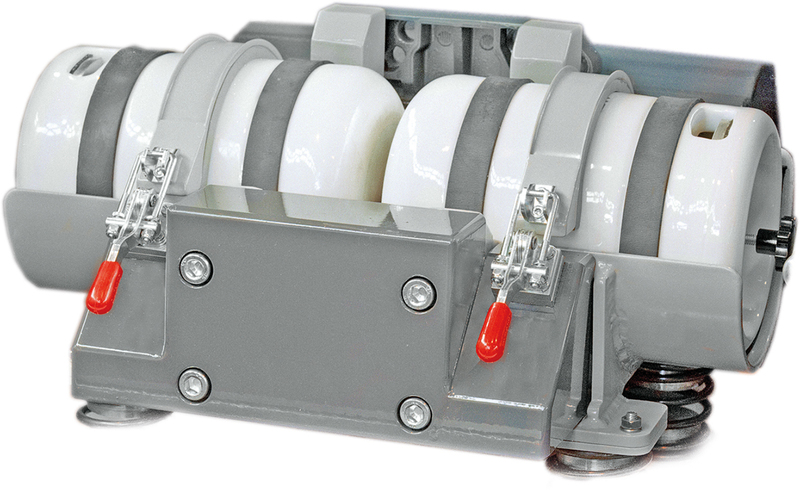 The vibrating frame with the maintenance-free unbalance motor is supported on springs and covered by a housing with sound isolation. The counterweight at the bottom of the housing ensures a solid support and a smooth operation of the machine. 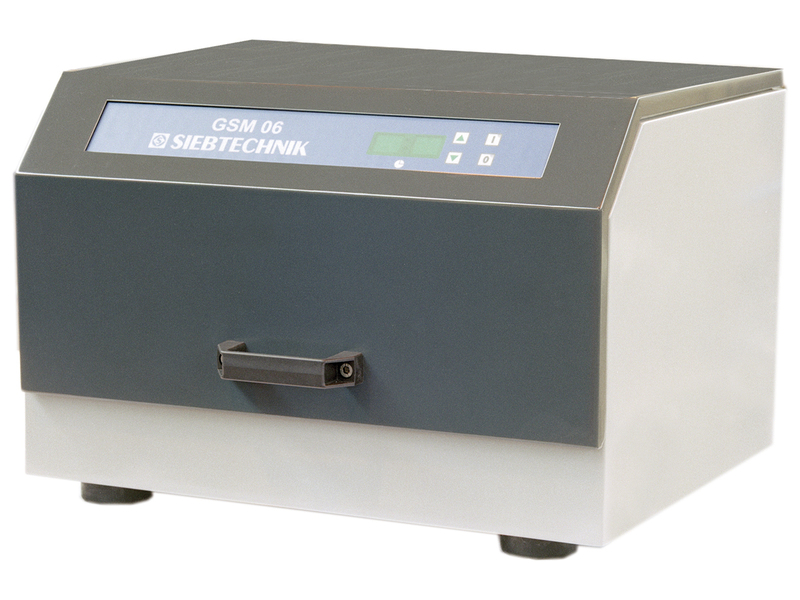 The machine is controlled by a foil protected keyboard which is situated in the opening cover of the machine and offers the function “On/Off” and the possibility to determine the duration of the grinding process.